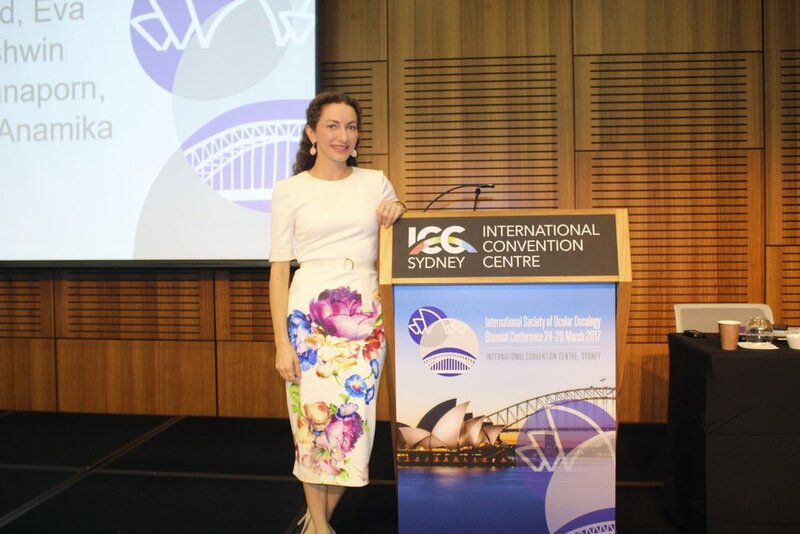 The International Society of Ocular Oncology is my favorite meeting because it is all focused directly on my specialty! It fosters a wonderful sharing of ideas, collaboration, support and mentorship. I always leave the meeting engaged, excited, and with new ideas. The first day of the meeting is a working day and pathology course so more casual -- flats and a floral dress (with light pink jackets) suited us nicely. Day 2 kicked off with melanoma talk and everyone upped their style game with heels (love these M. Gemi pumps) and sheath dresses (always a good time to pull out The Fold)! It was also the second annual meeting of Women in Ocular Oncology (co-founded with my #girlboss colleague from Cincinnatti) which was a resounding success. We gathered with colleagues for cocktails and appetizers at the Museum of Contemporary Art and celebrated Earth Hour together (with fireworks!). A perfect venue for a black Elizabeth and James sheath (such cute details) and a black leather blazer that works well as work-play transition. Day 3 kicked off in this adorable Camelot dress in coral tweed (on sale!) from The Fold London for conference and a lunch of sea bugs (yes, that's what they're called but they're basically lobsters!) on the harbor at blue fish. Conservative and black will always be appropriate for work functions. A skirt length just above (3 finger-widths) to just below the knee keeps it in the the realm of work appropriate cocktail attire. This black lace number is vintage and fit right in at the Gala dinner on the grounds of the historic Sydney Eye Hospital with my colleagues. Day 5 was the last day of the meeting and a celebration of our winning bid to host the ISOO 2019 in Los Angeles (hooray!). I chose to close out the meeting in another The Fold London dress (such great workwear!). Of course in this group my radiation plaque earrings were a huge hit (#lovewhatyoudo). Here's to a great ocular oncology meeting, lots of learning and a touch of academic, conference style -- can't wait until we host the next meeting at home in 2019!